Locally, a group of Linux advocates set up Sahana, a collection of web based disaster management applications that provides solutions to large-scale humanitarian coordination and collaboration in disaster situation and its aftermath. It’s a good start for us to have a centralized area for any possible communication when disaster strikes. There are also others who have been tweeting and plurking the latest news. The updates were related to volunteer work, how to give relief goods, as well as tips on how to check on your car when it gets flooded to info on which shop offers services to laptops which needed to be serviced/recovered after the flood. I also received messages from friends in other countries and amidst the time differences it is heart-warming to receive messages from those who care. A week ago I published a boring little post on this blog about the command line and the average user. The essence of it was that non-geeks considering switching to Linux shouldn’t even be shown the command line, as it may scare them away. Much to my surprise, that post got a lot of attention. The Linux terminal – Outliving its relevancy? The terminal has simply outlived its relevancy and has to be relegated as soon as possible. It is a big obstacle in the wider adoption of Linux among everyday computer users that just need their machines to do simple things. Why suffer these people with the language of the geeks? This year was the first time ever that I’ve had the wonderful opportunity to visit Ohio Linux Fest, sometimes referred to as Ohio Linux Con. This year’s theme was “40 Years of Unix” and there was a lot there that focused on that theme. Poway-based General Atomics Aeronautical Systems Inc. was awarded a $46,040,935 contract for Linux operating systems, technical orders, improved display, and spares for the Predator/Reaper. A wide selection of operating systems will be supported including Windows Vista, Windows XP (via a downgrade), Ubuntu Linux (in certain markets) and FreeDOS. ARM comes of age with a major PC design breakthrough this week. The key to ARM’s success is Dell’s plan to run Linux as a second rapid boot operating system on its Windows latptop. The Linux suite extends battery life and provide instant access to email and web applications. Dell’s inclusion of Arm and Linux follows longstanding user frustration with the slow Windows boot-up process. During the US Justice Department’s antitrust case against Microsoft, the software giant lost its ability to dictate how PCs start. JFL Peripheral Solutions, the leading independent provider of scanner driver development services and products, today announced the availability of new Linux drivers, for Visioneer and Xerox DocuMate scanners, that expand the compatibility of these scanners to Linux operating systems with exclusive image processing technology. The new standard SANE (Scanner Access Now Easy) driver enables users to scan on Linux-based operating systems including Ubuntu, Suse, Suse Enterprise, Debian and Fedora. In addition to the SANE driver, JFL also announced a soon to be available TWAIN 2.0 driver that is platform independent. The developers behind X.org, the foundation of nearly all graphical user interfaces (GUIs) for Linux, want to change their current development model. Contrary to the initial plans, recent X.org releases have been rather irregular and unpredictable. Consequently, X.org developer Peter Hutterer has proposed the introduction of a six month development cycle. When it comes to choosing a data backup system tool for Linux, the problem isn’t finding options. It’s choosing the one that best matches your businesses’ needs. Here are six popular Linux data backup offerings and the pros and cons of each. In the heterogeneous computing world of today, documents are encapsulated in a variety of formats, from the mundane PDF to the high-resolution tiffs needed in typography. To be able to view all of them you could use four or five different applications, or you could just employ Evince. GNOME users are probably well familiarized with this document viewer. Every time you click a PDF you downloaded from the web, it will start up and, in an instant, render the document for you to view. Well it’s official, Fabio is part of the Gentoo developers team now. This is a great thing for Sabayon and Gentoo. It didn’t come easy tho, but with support and his desire to do it, he did it. Our relationship with gentoo gets better and better all the time. One just has to put the negative comments aside and remember what is important, making it all better. The Login screen for Karmic Koala has finally been pushed on the servers and made available through update manager. Today’s topic is a diverse one, as there are really several issues at play. So bear with me as we tackle each component of the currently lacking Linux online video experience. The world of Linux finally has a front-runner distro that can appeal to a wide variety of users and tasks. It’s a shame that so many who are seasoned in ‘Nix are walking around bashing the one distro that is actually bringing users into the fold, simply because it’s actually useful out of the box and easy to keep up-to-date. In my mind, that’s a success for those of us who still believe in the purpose of Linux – a free alternative with choice. If you don’t believe me, grab the latest Live CD and fire up the terminal. It’s still there – and “ls” still works, I promise. See? There’s a little something for everyone. Hot on the heels of Android 1.6 (code name Donut), the Android development team has now released version 1.6 rel 1 of the Android NDK (Native Development Kit). The NDK is a toolkit comparable with the standard Android Software Development Kit (SDK), which allows Android developers to write parts of their applications in native code languages such as C and C++. The smartphone integrates location-based services into multiple aspects of the proprietary Linux-based operating system, and it will come with the same turn-by-turn navigation features found in Garmin’s high-end navigation units. This includes audible voice prompts for directions, as well as millions of points of interest like restaurants, gas stations, hotels, and other venues. Users can also mount it to the windshield to act like a regular navigation device. Is there a market for a $300 proprietary Linux-based navigation device with phone capabilities? Garmin’s Nuvifone will put that question to the test. Known for its navigators, Garmin might be following Palm’s playbook by adding phone capabilities. Given the popularity of the iPhone, the advance of the Androids, Palm’s struggle to push the Pre — can the Nuvifone find a niche? Both Google itself and Sprint – launch carrier for the webOS-based Palm Pre but now turning its attentions to Android with the upcoming launch of HTC Hero – were enhancing the Android experience. Sprint announced a series of additions on its Applications Developer web site to make it easier for programmers to support Android. It is providing tools to create and test Android apps for the Sprint network, plus implementation information for Hero, and location-based, messaging and other services available via the Sprint Developer Sandbox. With the launch of Motorola’s Cliq, the battle between mobile operating systems reaches new heights – and there may soon be a new leader. We survey the top players. Android has even given traction to other open-source systems, such as Linux-based Moblin. Shocked by the title? So I am. Would you like to see Qt supported on this platform? Just two days ago the answer was like “But it’s close to impossible”. Now with NDK 1.6 the “little robot” OS opens more to C/C++ native code. I am eager to read some analysis on the topic. The Nokia N900 takes the functionality of the older Nokia Tablet devices and repackages them into a slimmed down PDA device that features some design similarities with the Nokia N97. So, we get a full QWERTY keyboard sans the tilted slide function, 3.5-inch touchscreen but with a higher resolution. However, the real added bonus is the powerful Linux Maemo OS. Needless to say, we can’t wait to get our hands on especially now the first full-on reviews are appearing. The Moblin Garage and App Installer aim to help users to find and install both free and commercial apps. The initial implementation appears promising. Amidst rumors that Yahoo! is looking to sell the company, Zimbra has released a new version of its Exchange-battling open source email and collaboration platform. Available beginning today, version 6.0 of the Zimbra Collaboration Suite adds several administrator and mobile tools as well as countless tweaks to the client interface. This includes client-side changes meant to facilitate the addition of Zimlets, those community-created mini-apps that hook into outside web services. With one Zimlet, for instance, you can instantly open a Yahoo! map when a street address turns up in your inbox. Red Hat must be having a giggle, no make that a cackle, behind proprietary tech firms’ backs as they watch their revenues slide whilst the recession is still in full swing. 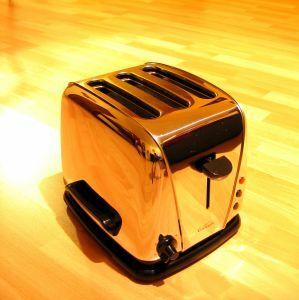 The company will be celebrating as it just posted results showing a 12 per cent rise in revenues in the second quarter of fiscal year 2010. Enterprise content management has traditionally been very expensive to license, roll out and scale. It often requires expensive hardware and supporting software. The enterprise content management industry has been dependent on complexity, with the vendor controlling the customer through proprietary power. But there is a cost-effective alternative: open-source software. Web 2.0 sites have changed the way in which content is both accessed and mashed up. Here, Knowledge Center contributor John Newton explains how open-source software gives companies an enterprise content management solution that focuses on lower cost, greater simplicity and greater customer choice. The major topic was Open Source Software in medical imaging. Software lifecycle management vendor Protecode Inc. has made available new components in the third release of its portfolio of offerings that aim to help developers better manage the open source code they reuse. Funambol is an open source project, allowing you to host your own sync server. Great for DIY-ers and control freaks. If you’re not ready to manage your own sync server, you can use the MyFunambol portal, which is a hosted version of their solution. Red Hat President and CEO Jim Whitehurst opened the third year of Fidelity Investment’s lecture series “Leadership in Technology” with his address entitled “The Open Source Opportunity,” last night in Engineering Building II. What about the fact that open source applications require more customization and hands-on knowledge on the part of administrators? Even as the current economic climate has compelled the Indian government to go on the austerity drive, by asking its ministers to air travel by economy class–a more compelling option may lie in looking at replacing proprietary software with open source. A recent report titled, ‘Economic Impact of Free and Open Source software-A Study in India’, by a team at IIM-Bangalore, highlights several interesting insights, that show how by replacing just 50 percent of proprietary software with open source in desktops and servers, India can save close to Rs 10,000 crore in 2010. Welcome to the October 2009 installment of our what’s coming from the open source CMS projects in the next 30 days. With the advent of Linux for netbooks and companies exploring means to cut costs, use of open source software is on the rise. The next time you need Microsoft Office and go to download an illegal copy of it, why not check out OpenOffice.org for a free equivalent. You’re guaranteed not to get a virus, not to get arrested, and you will probably be surprised when you see how good legitimately free software can be. As you could read with the last developer milestone ( DEV300m60) we reached the date to branch the code line for the OOo 3.2 release. The strings for translation were extracted from this milestone and were integrated into Pootle. Also the last features were integrated. So all teams can start to do their work to get released a full localized and stable build of OOo 3.2 at the end of November ’09. OpenOffice is the undisputed king of open source office software. Boasting most of what you get with the big commercial packages — a word processor, spreadsheet, and presentation application — the individual applications in OpenOffice are even compatible with the file formats used by MS Office and other leading fee-based software. Is there a leading example of an Open Source software company? Red Hat is an example of one of the best known Open Source companies internationally. They commercially exploit Open Source technologies by providing support and services around a technology platform called Red Hat Linux. Vanity Fair will report in the next issue of the magazine that US Treasury Secretary Henry Paulson — a former head of the investment bank Goldman Sachs — tried to orchestrate secretive deals in the midst of the financial crisis but got blowback from prominent investor Warren Buffett. Though using a Kindle is voluntary, no one has opted out of using a Kindle in Katz’ class, so he has permitted his students to use location numbers in their written work for the course. This is now likely to change for the better. The DRIVER project is a co-ordinated, multi-phase effort by European information scientists to create a cohesive, robust and flexible, pan-European infrastructure for digital repositories. The researchers have already created a search engine that regroups over a million ‘open access’ articles from 260 of Europe’s leading institutions. There are so many problems with the health care reform bill proposed by Senator Max Baucus (D-MT), chair of the Senate Finance Committee, it is little wonder that members of his committee have proposed more than 500 amendments to fix it. Unfortunately, some of the worst amendments that would make the bill even more of a gift to the health insurance industry are being offered by Republicans. We learned that the true number of the FBI’s unilateral and secret NSL demands in 2004, the year before Bart Gellman’s article was published, was over 56,000. That is, the government made over 56,000 secret demands for personal, private information about Americans using these powers expanded by the Patriot Act in one year. Not 30,000 as Gellman had estimated based on whistleblower information, which the Justice Department strongly attacked as inaccurate. The number reported in the press was not too big, It was too small! The federal ban on depictions of animal cruelty violates the right to free speech. THE previous post spoke about the “Microsoft hater” label, which conveniently annuls or crosses out any regular critic of Microsoft’s practices, including Richard Stallman. Recent attacks on Stallman [1, 2, 3] (some going back to July) were profoundly based on the assumption that for Stallman to be concerned about Microsoft is “irrational” and “sickly”. 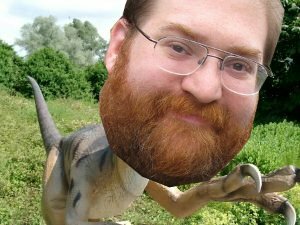 Groklaw has published this long article which defends Stallman from critics like Jason Perlow, who is in our IRC channel at the moment having fun with some graphics and banter (the image above is hopefully treated amicably, as Jason chose his favourite dinosaur, the velociraptor). There are also some good comments at Reddit (the Novell/Mono employees who hang out at Reddit must not have responded yet). I hate to burst people’s bubbles, but it was just last week that Microsoft sold, or tried to sell, to patent trolls some 22 patents that could be used against Linux. Caught with its pants down when OIN ended up with them instead and told the world all about it, Microsoft quickly announced the Codeplex Foundation, which Perlow calls an open source nonprofit but which actually could more accurately be called Microsoft’s Push-Mono-Down-Your-Throat foundation, now that Sam Ramji has announced that giving Mono more “credibility” is the goal. This is the star to guide you if you wish to be “pragmatic” and “compromise” also. I suggest you read Andy Updegrove’s understated but — to me, hilarious — analysis of the legal structure of the Codeplex Foundation. And I have a question for those who tell us we have to compromise and use both proprietary Microsoft software and FOSS. If the purpose of Open Source was nothing more than making money as a Microsoft partner, you tell me — what was it all for? Why not just use Microsoft software, then, and call it good? No. Really. What was FOSS developed for, if that is the end result, a Microsoft-FOSS fusion? Why even bother? The idea was to provide something better, an alternative, one that was totally free of proprietary restrictions, so that it would be you who control your own computer. And that is exactly what Microsoft can’t ever offer you. More obvious mistakes are being pointed out in the comments. Generating lots of interest from press, enthusiasts and attendees, LinuxCon touched on everything from what music best represents Linux to “Is Linux bloated?” – which sparked lots of opinions, including one from Novell’s own Matt Richards. Picking up traction is the idea that “Microsoft Hatred” is driving Mono/Moonlight/CodePlex/Miguel criticism, and perhaps is even the real ideological foundation of the Free Software movement. Of course, this is absurd and insulting, but I suppose I should take a moment to point out that RMS and the FSF also object to Apple, Amazon, DRM, and Software Patents. It is a very consistent and principled stand for end-user freedom and against those actors trying to control and restrict freedom. It just so happens that Microsoft is one of the largest offenders in this area. So they get a lot (but proportionately appropriate) amount of criticism. 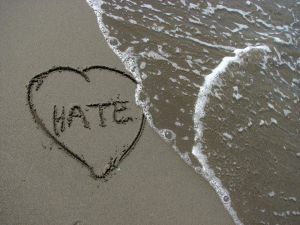 Further the idea that objection and criticism == hatred is false. The intent is to discredit the critic by portraying is message as emotionally driven and irrational. But pointing out that some companies are working very hard to remove freedom through DRM, patents, proprietary formats, price dumping, illegal practices, bribery, vote-stacking, or other offensive practices is fact-based, rational, and grounded in documented evidence. 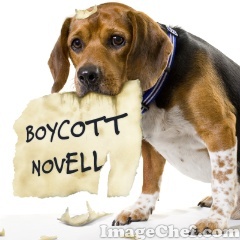 Boycott Novell actually criticises many companies other than Novell, including Amazon, Apple, McAfee, etc. Microsoft is just the most frequent offender against Free software because it’s determined, fixated and hellbent on destroying freedom. One who plays fair might as well put on Microsoft the label “Freedom Hater” and describe Microsoft as pathological for that. Palm and Apple have been playing hide the salami with iTunes syncing since the Pre shipped in June. First syncing was in, then it was out. Then in. Then out. Michael Masnick agrees with the above. No one’s buying Apple hardware because it syncs with iTunes. They’re buying it for many other reasons, and Apple can continue to compete on those. Blocking the Pre and other devices from accessing iTunes is petty and unnecessary. MANY migrations without permission seem to involve SharePoint, which is the most total Microsoft piece of lock-in, allegedly. There are some ways out however and another new one has just received coverage from Glyn Moody, who writes about a new Google Sites API. Assuming that I’ve not missed something here, this new Google Sites API seems pretty big to me: it offers a Get Out of Jail Free card to businesses that would otherwise find some of their content locked away in SharePoint. And once that data is liberated, there are plenty of open enterprise content management solutions out there that would be glad to accommodate it – without the lock-in, of course. As interns on the Google Docs team this past summer, we were excited to be able to work on making Google Docs that much more useful for students like us. We’ve now added a bunch of back to school features which should help our fellow students make the transition from summer to school that much easier — and we hope they’ll be useful to you non-students as well! There is support for equations now. Since Docs adheres to OpenDocument format (ODF), it will interact nicely with other ODF-compliant software, maybe with the exception of Microsoft Office that does mathematics its own way, thus breaking interoperability [1, 2, 3, 4, 5, 6, 7]. Without Free software, there would probably be no Google. Microsoft realises what’s going on here, so its obsession with blocking GNU/Linux, the "most potent operating system competitor," promptly kicks in again. What about UNIX? And if Steve Ballmer says that 60 percent of servers run GNU/Linux, why use the expression “extending its dominance over Linux”? For years, Red Hat has happily sold Linux to Unix shops anxious to save money at equivalent or better performance. During this time, the company largely avoided Microsoft, which has tended to compete much higher up the stack. No longer. Microsoft CEO Steve Ballmer argues that one of Microsoft’s biggest opportunities lies in enterprise infrastructure and associated application development. EVERYTHING that goes on at Microsoft these days must — absolutely must — have something to do with the overly hyped Vista 7. Even in the face of bad financial results, Microsoft keeps pointing at Vista 7 as though it is the saviour of the company. Mary Jo Foley plays along with the same talking points, as do others whom Microsoft pays in all sorts of ways. As readers may recall, one of Microsoft’s most disastrous products in recent years (probably worse than Vista) is Windows Home Server, whose defects we wrote about last year. Mary Jo Foley is currently getting across Microsoft’s message that an update to Windows Home Server is delayed because of Vista 7, which makes little sense. In a post to Microsoft’s official Windows Home Server Blog, the team didn’t offer many specifics as to why PP3 is late. The team said the PP3 update needs more testing to ensure quality. That remark is priceless. Windows Home Server was shredding people’s information silently but to make matters much, much worse, it took Microsoft almost a year to fix this huge defect — almost a year after it had been discovered and publicly reported. In the mean time, Microsoft carried on putting on the shelves a product which was guaranteed to put people’s data at great risk, with no solution available whatsoever. XEROX has announced that it is buying ACS, which works closely with Novell in the sense that Novell employees are moved there. Novell claimed that the exact number would be "156 Novell professionals" when it signed the agreement with ACS, but the following report from Utah claims that less than 100 “employees” are affected. 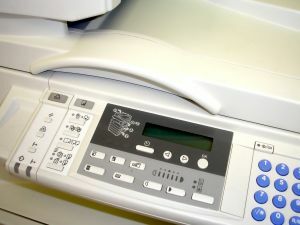 The deal comes just five months after ACS and Novell Inc.’s Provo office formed a strategic alliance in which ACS took over computer operations. Nearly 100 Novell employees went to work for ACS. The following article provides some more background information about Novell and ACS. Office equipment supplier Xerox Corporation is to buy Dallas based data center management and business process outsourcing firm Affiliated Computer Services in a cash and stock transaction valued at $6.4 billion. In June this year Affiliated Computer Services said it would take over the running of Novell’s data center operations in Provo, Utah as part of a global services deal which will see the outsourcer take Novell’s data center products to market. Under the IT outsourcing arrangement, around 150 Novell data center staff will move to ACS, including the infrastructure and application development and maintenance services operations. ACS will also take over Novell’s global SAP roll out by providing consulting and applications development and system integration services in a $135 million, five-year contract.